Seemorerocks: Will wonders never cease? 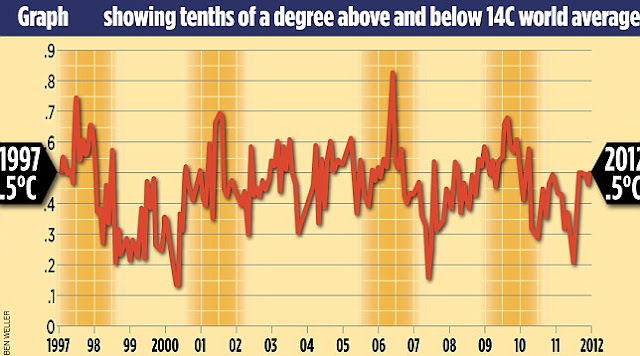 This is the UK's Daily Mail reporting on another record falling. Note the “20 warmest years on record have been in the past 22 years” bit. Global temperatures in 2018 are set to be the fourth highest on record, the UN has said, stressing the urgent need for action to rein in runaway warming of the planet. 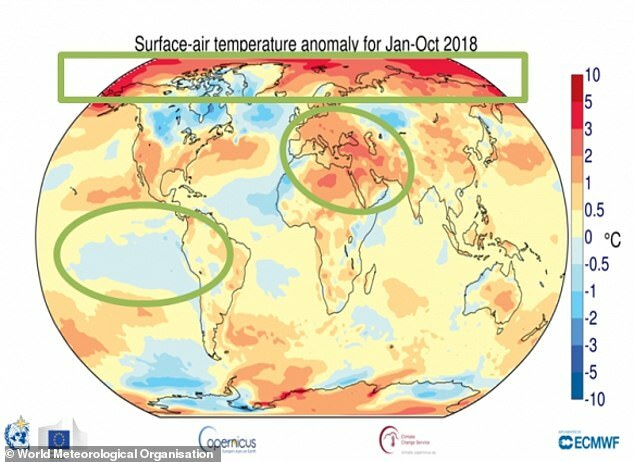 In a report released ahead of a climate summit in Poland, the World Meteorological Organisation (WMO) pointed out that the 20 warmest years on record have been in the past 22 years. 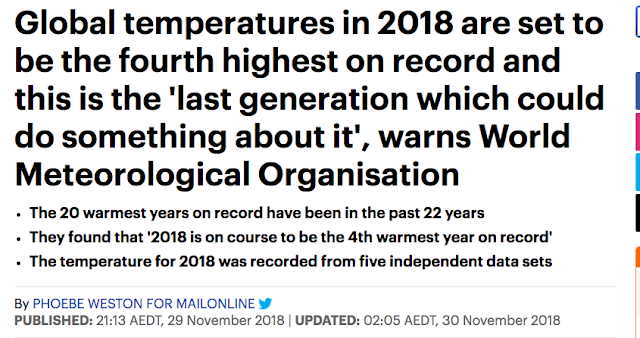 It found that 2018 is on course to be the 4th warmest year on record and we're the 'last generation to be able to do something about it'. 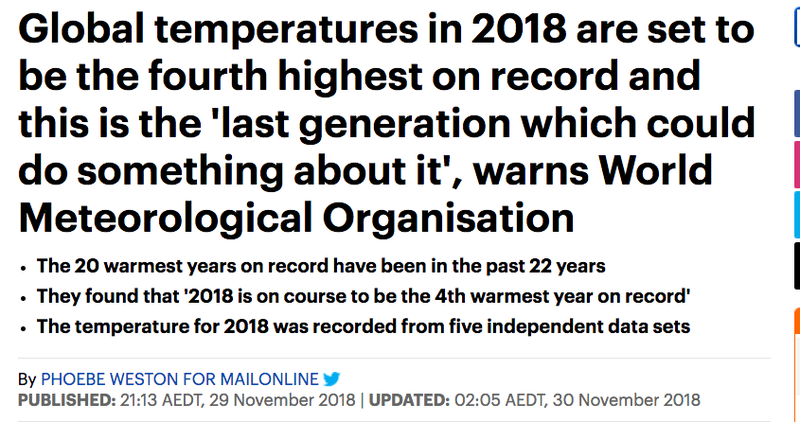 The UN agency said in its provisional report that 'the past four years - 2015, 2016, 2017 and 2018 - are also the four warmest years in the series'. 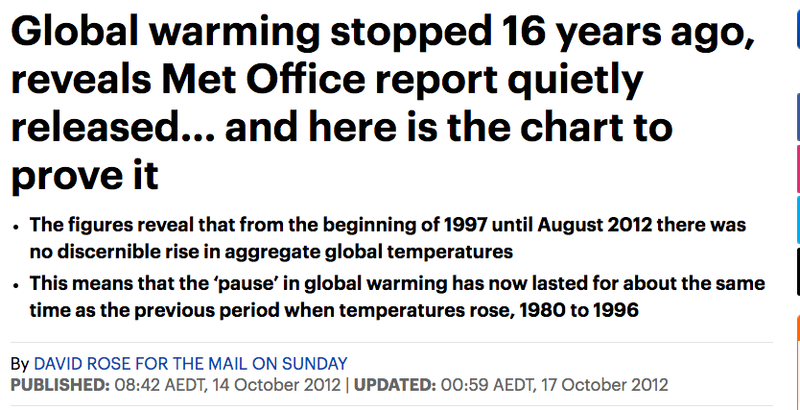 Now go back 6+ years to 2012 and the newspaper was strongly in the climate change denial camp. Amazing what a difference reality-on-the ground can make!